Samantha and Michael first met at work in May of 2013, but it was not until after a few weeks of flirting that they went on their first date and officially became a couple. 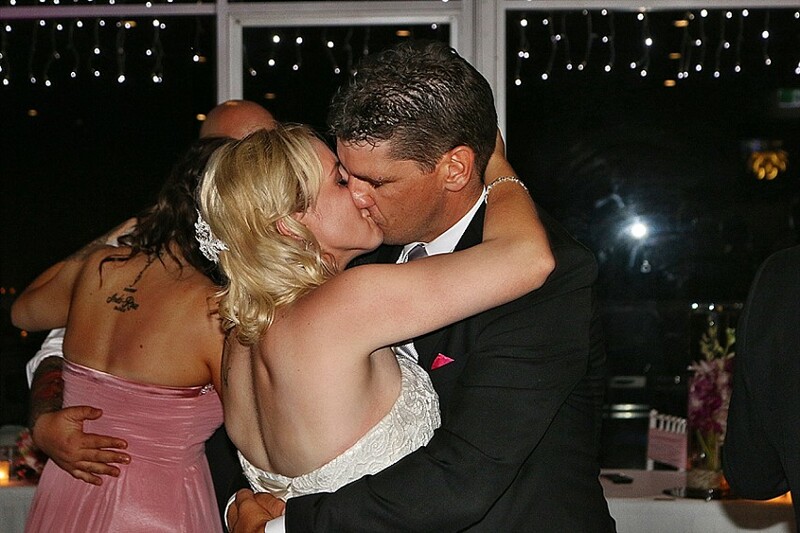 Two weeks following that date, they were very much smitten with each other and falling deeper in love as each day passed. 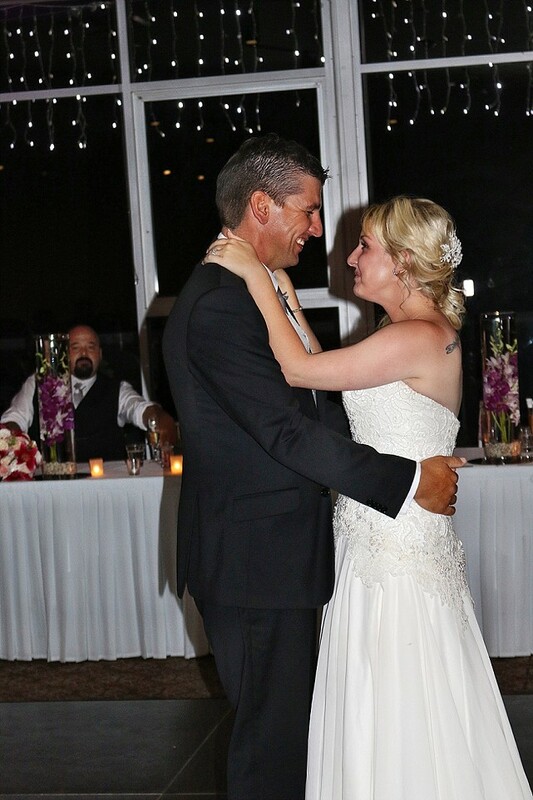 After another eight weeks or so, they knew they wanted to spend the rest of their lives together. On 18 June 2014, just over a year after they had first met, whilst in Venice, Michael organised a dinner which was followed by a gondola ride and near the Rialto Bridge, Michael proposed to his Sammi. 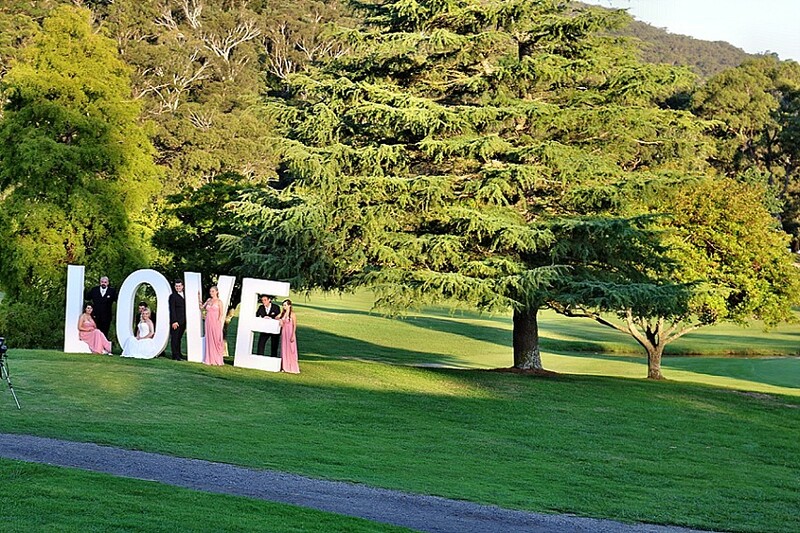 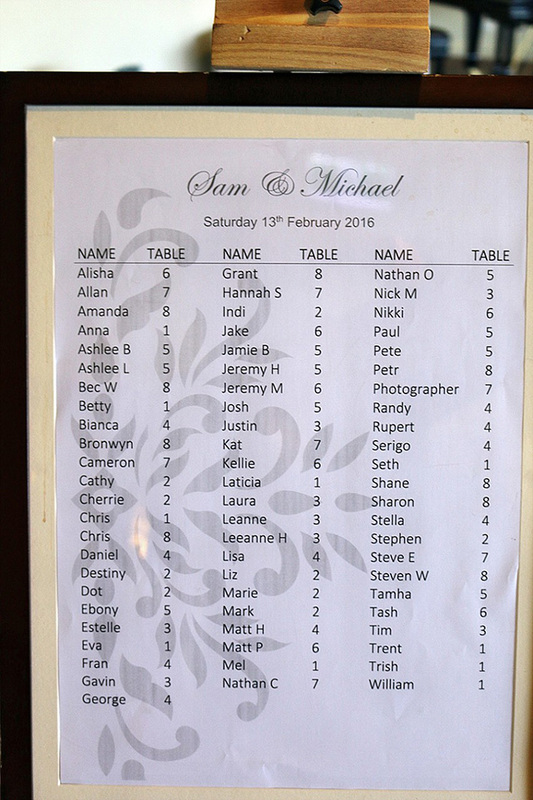 Fast forward to 13 February 2016, a glorious, picture perfect Southern Highlands day, filled with the warmth and love of their family and friends, Samantha and Michael were married. 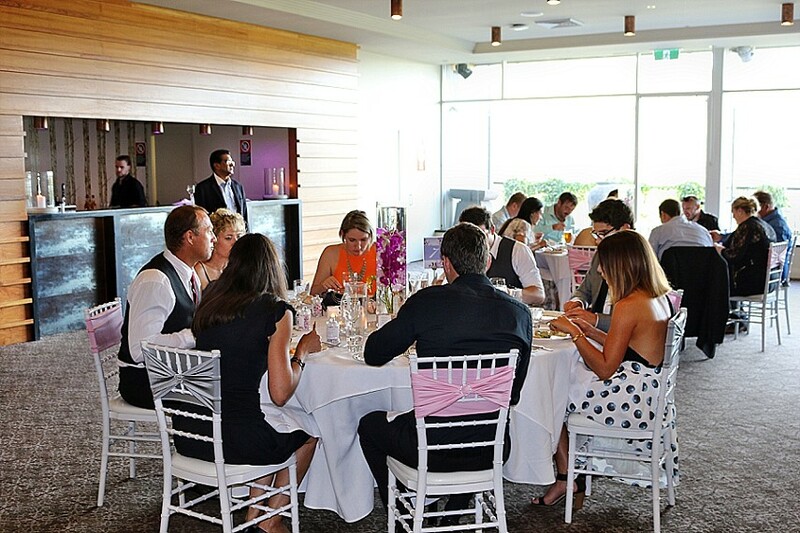 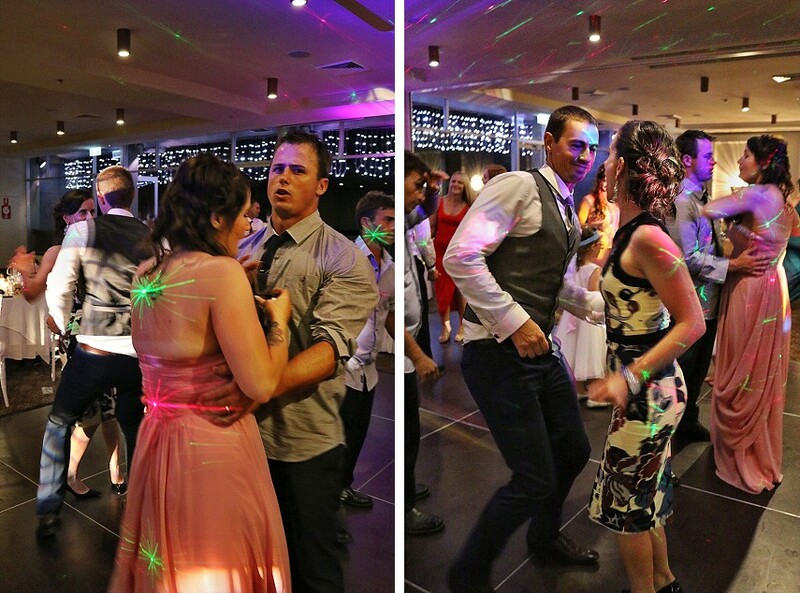 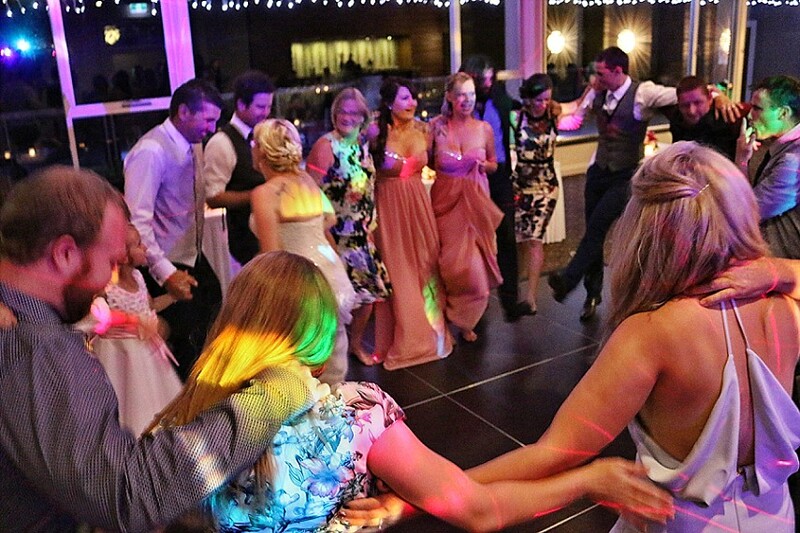 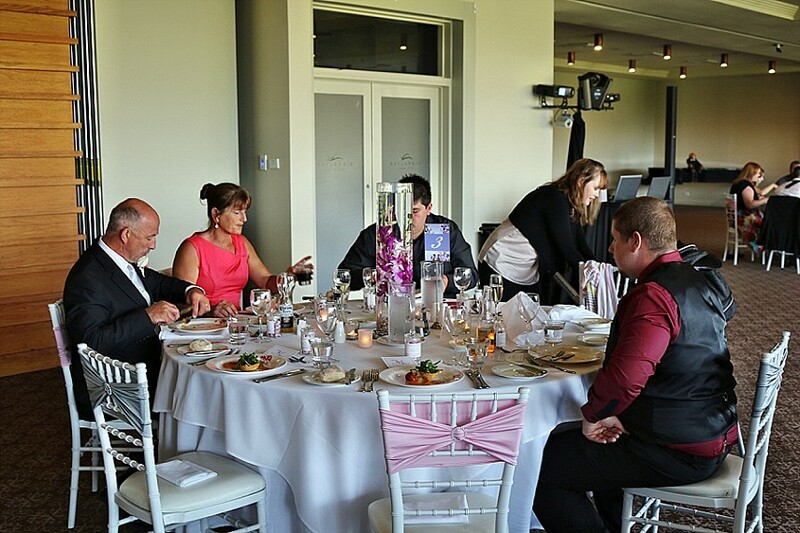 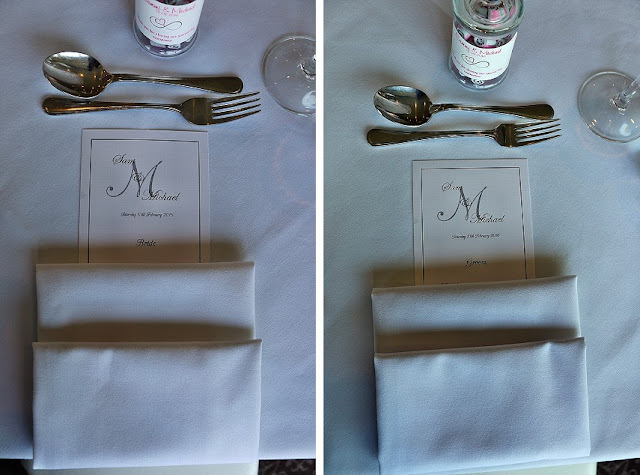 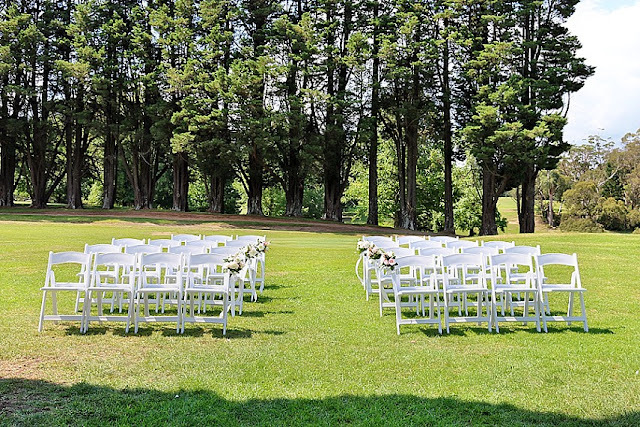 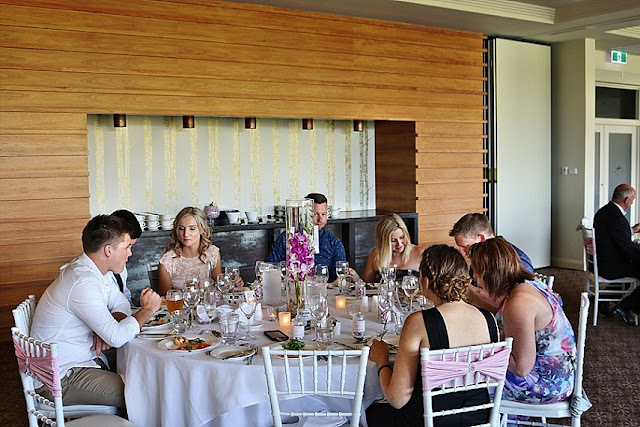 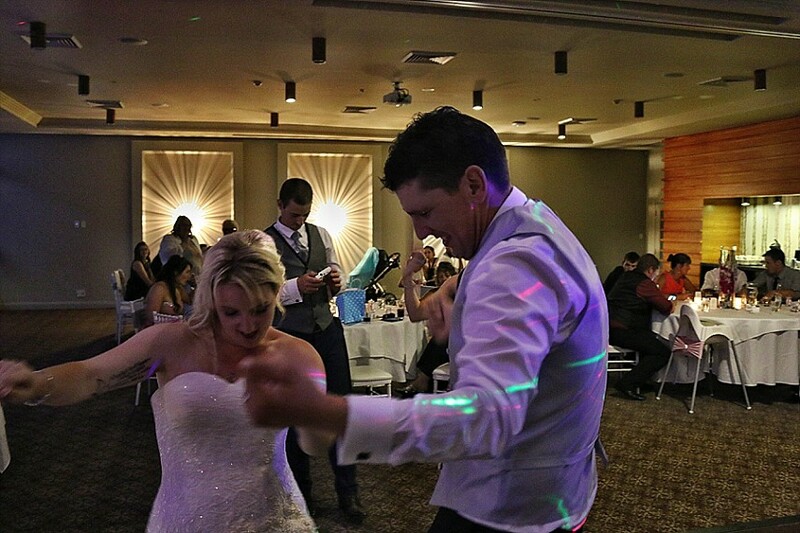 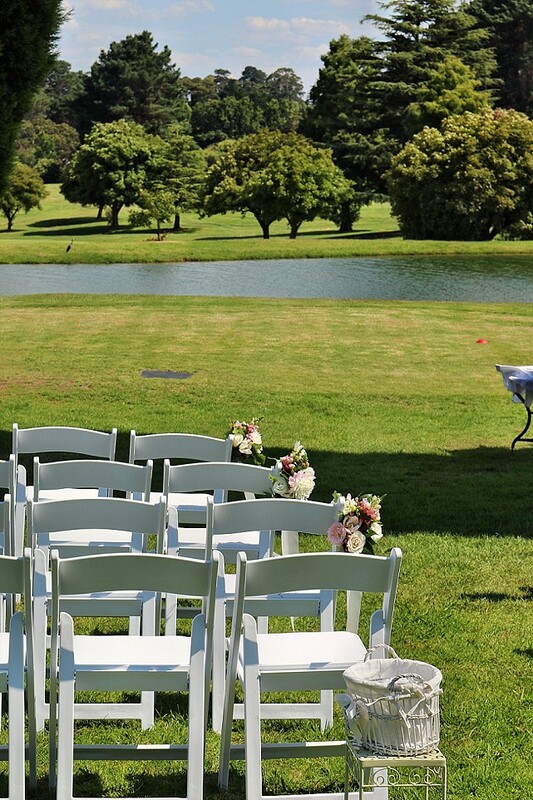 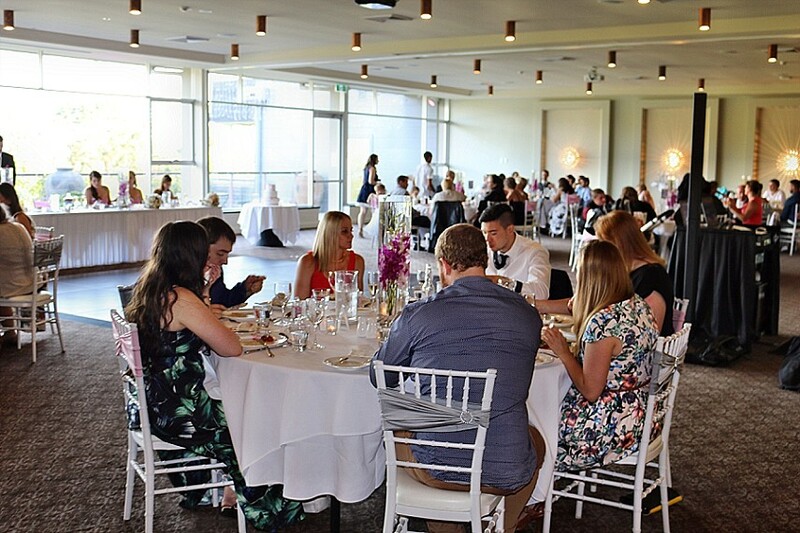 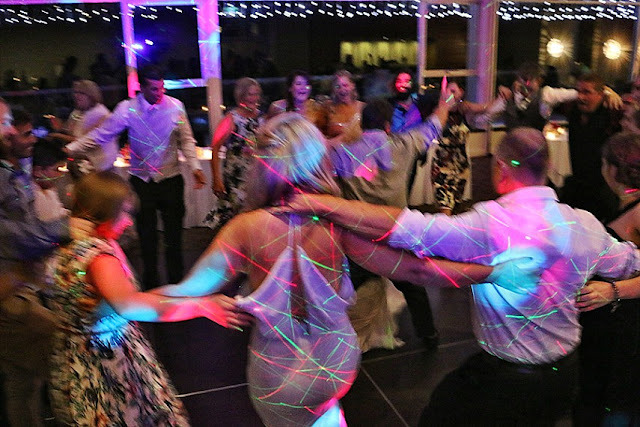 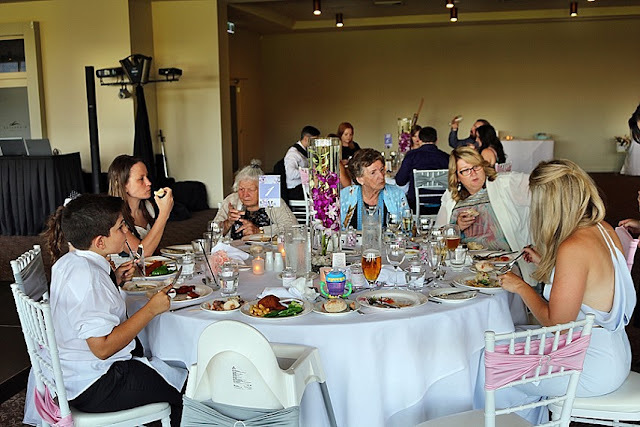 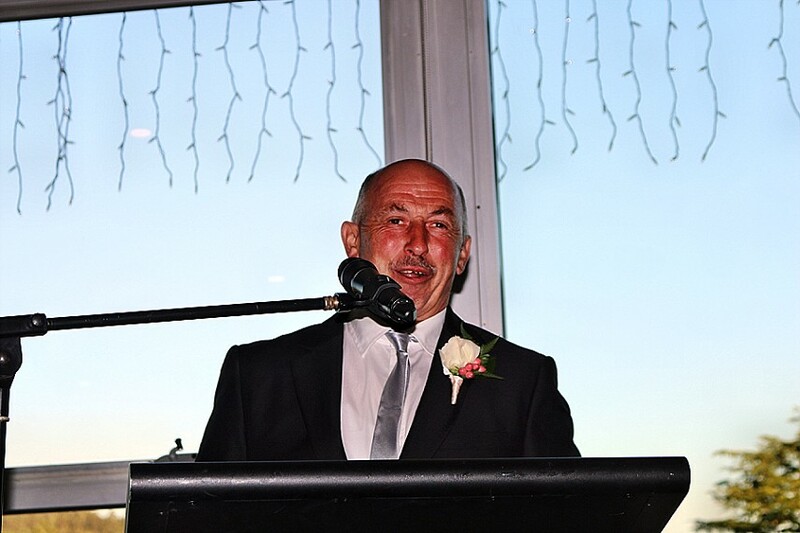 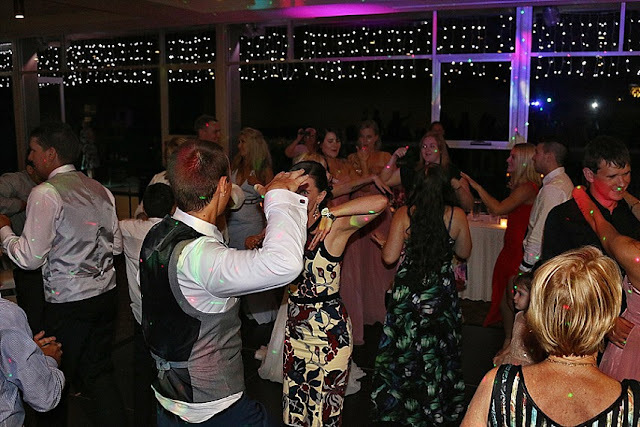 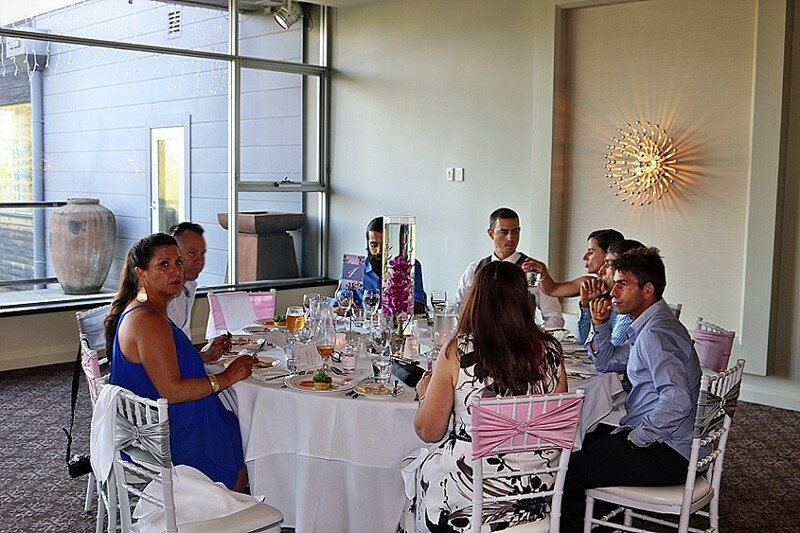 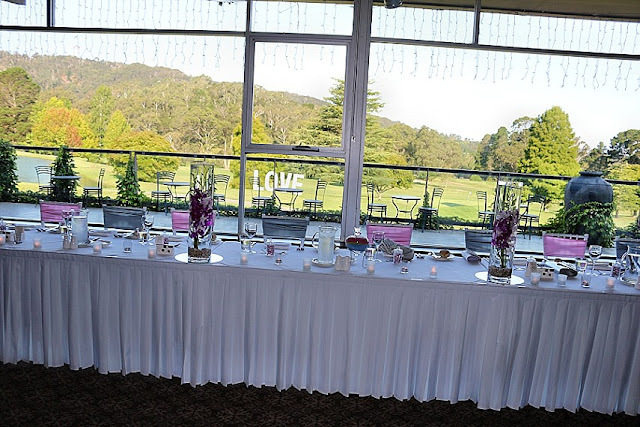 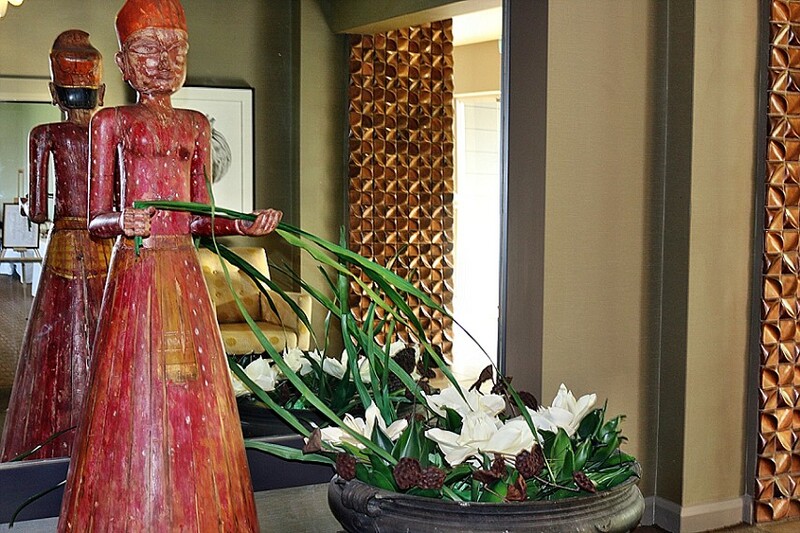 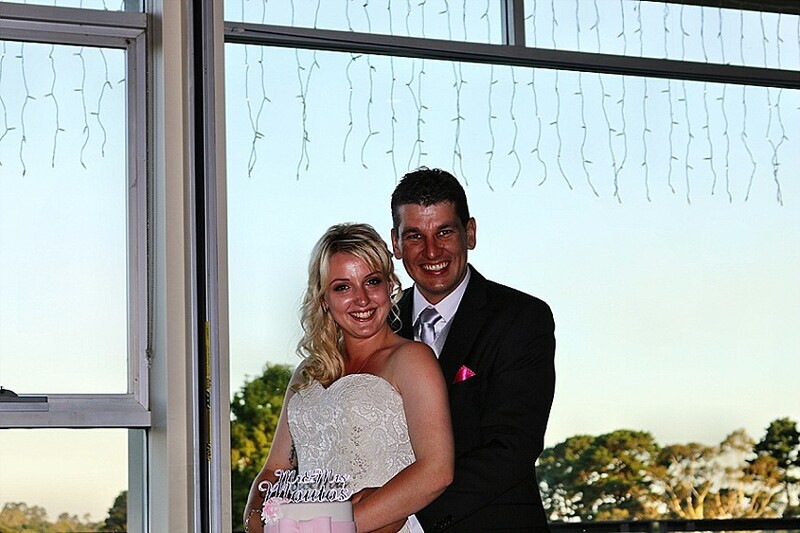 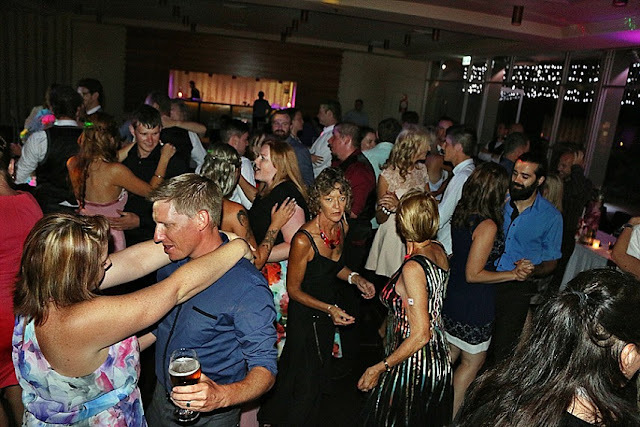 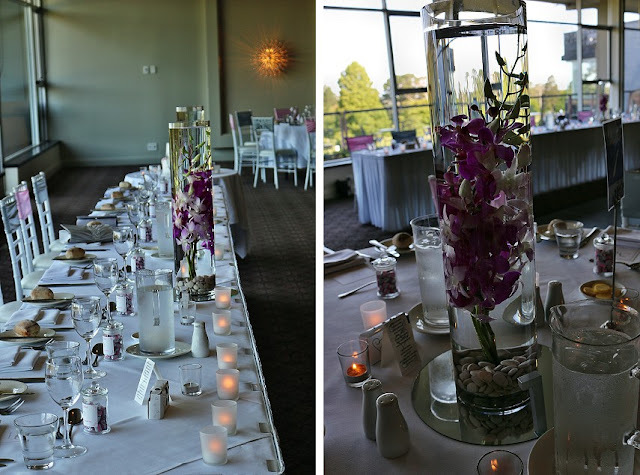 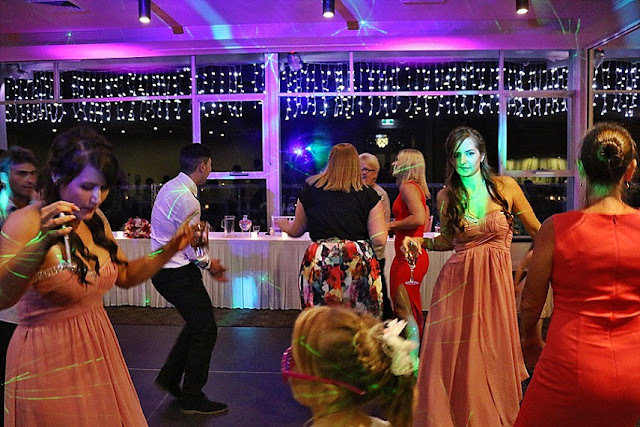 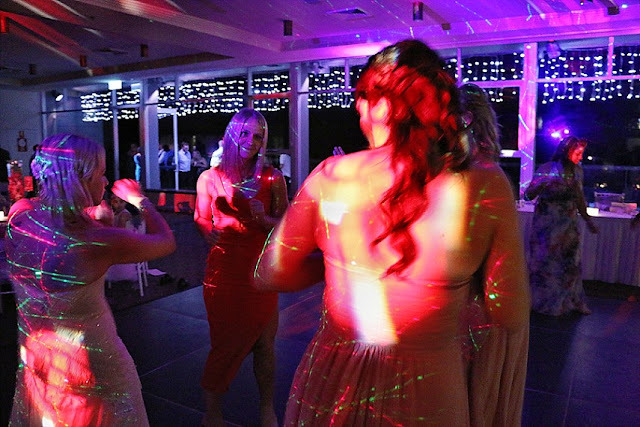 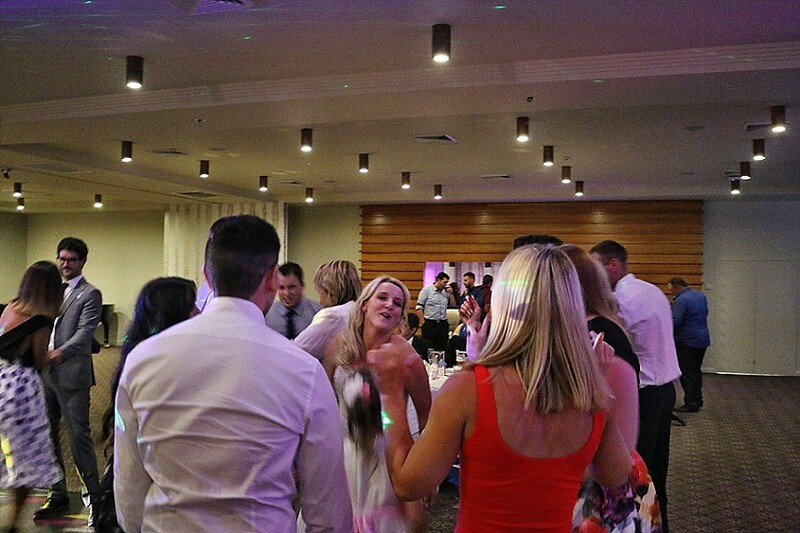 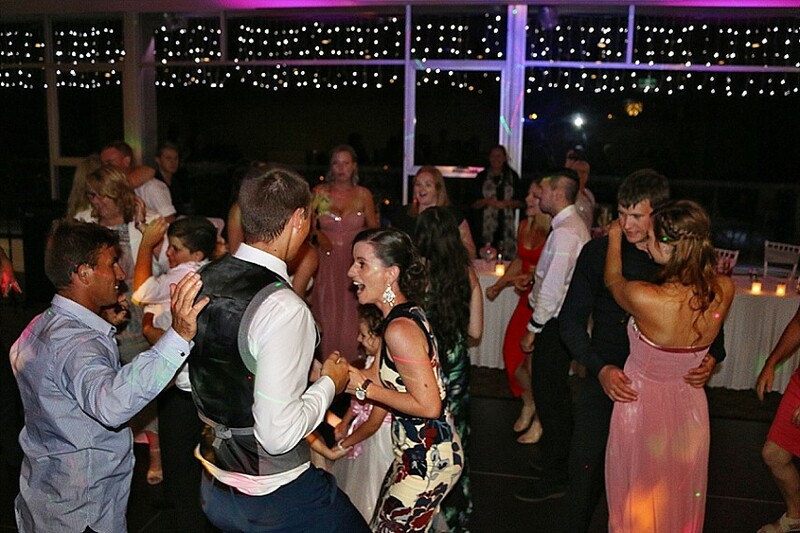 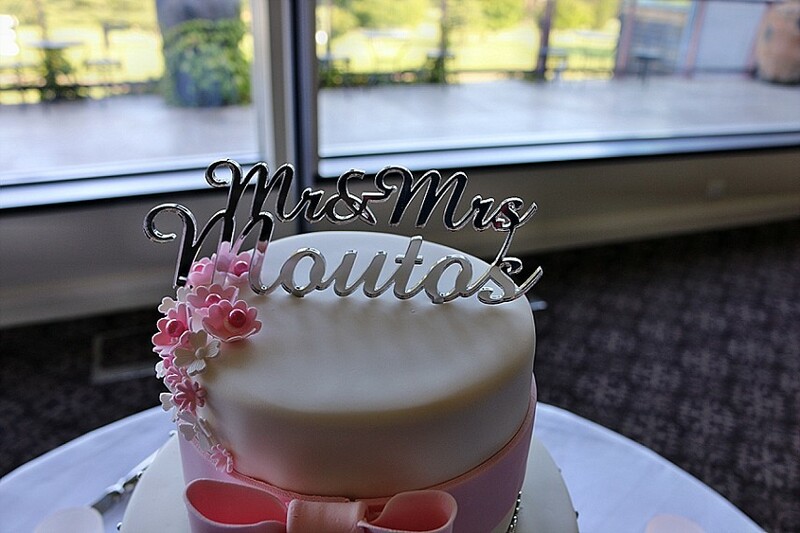 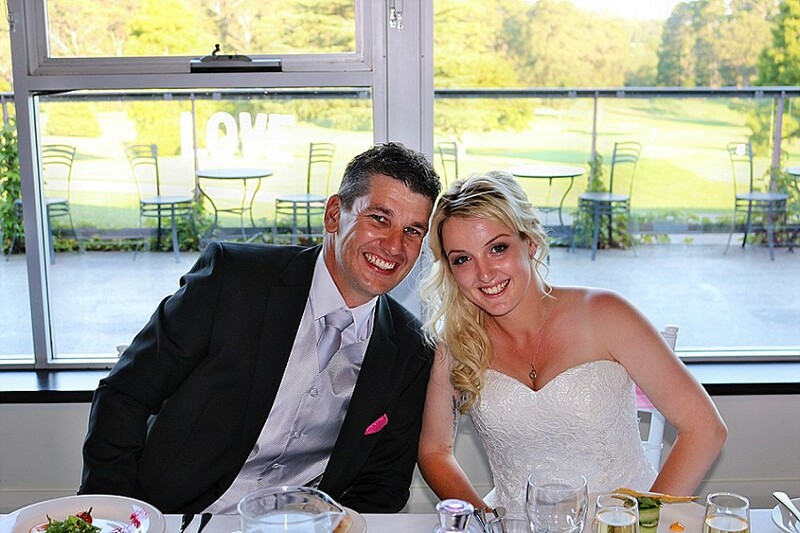 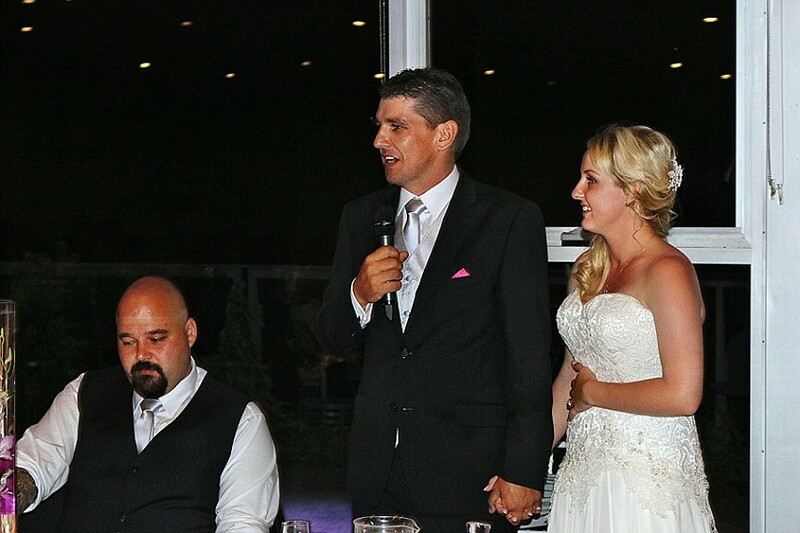 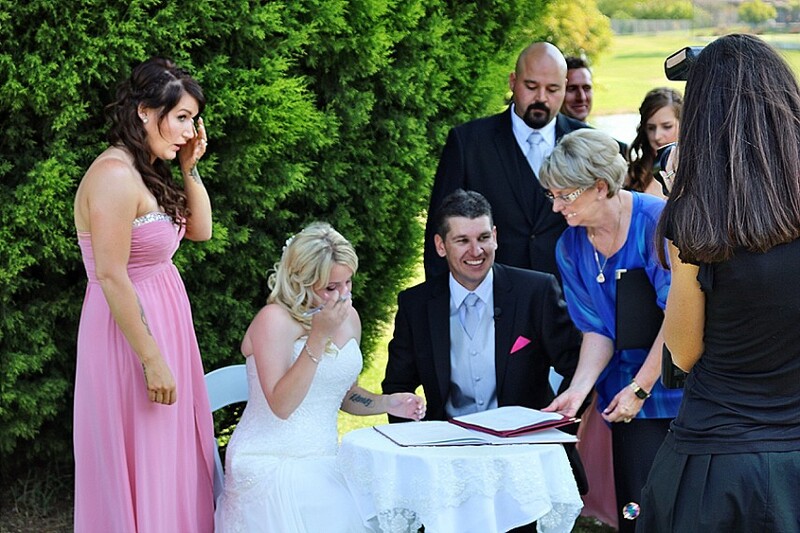 They chose to have their ceremony and reception at the Gibraltar Hotel Bowral , a modern stylish hotel which overlooks an 18 hole golf course. It was a beautiful, simple ceremony, wonderfully officiated by Susan Winters, and totally reflected the lovely relaxed nature of this gorgeous couple. 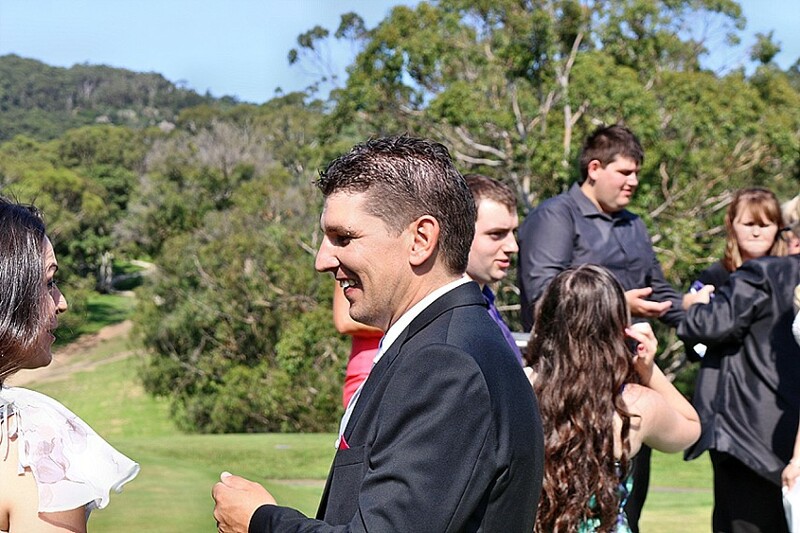 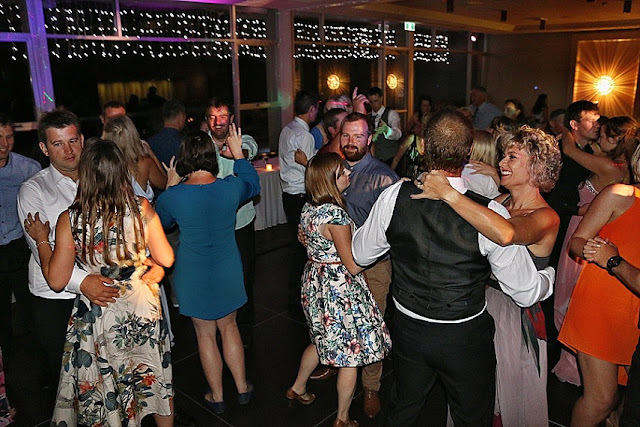 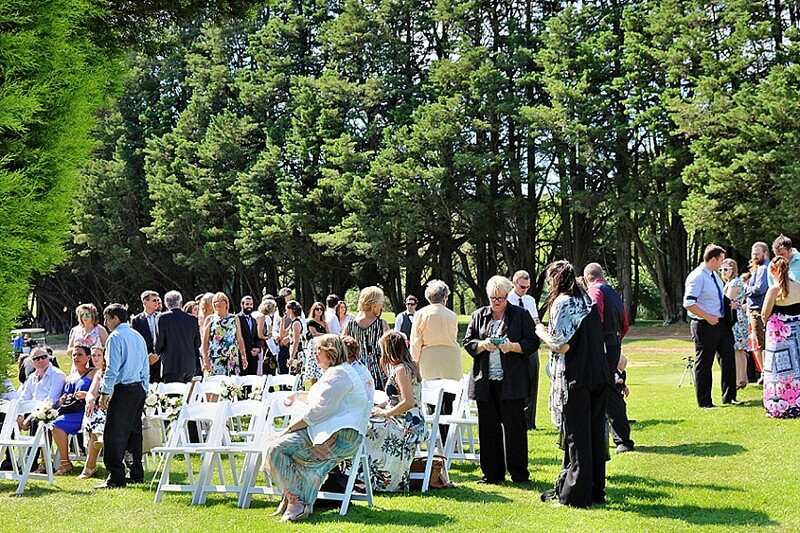 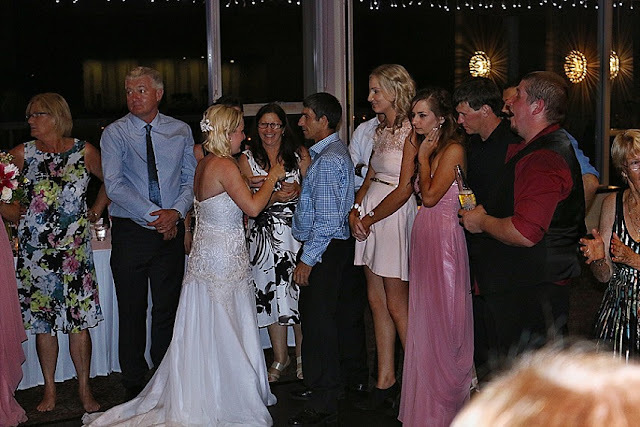 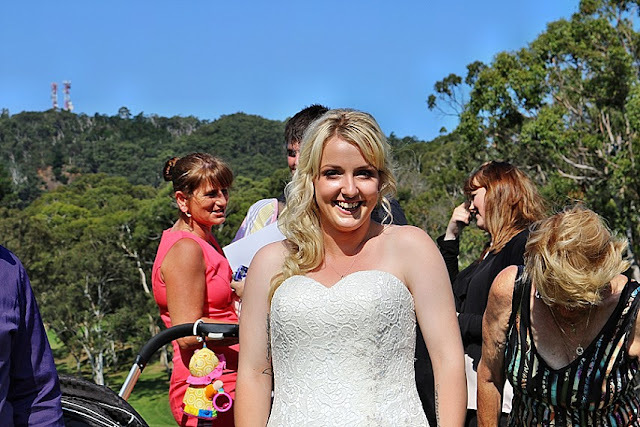 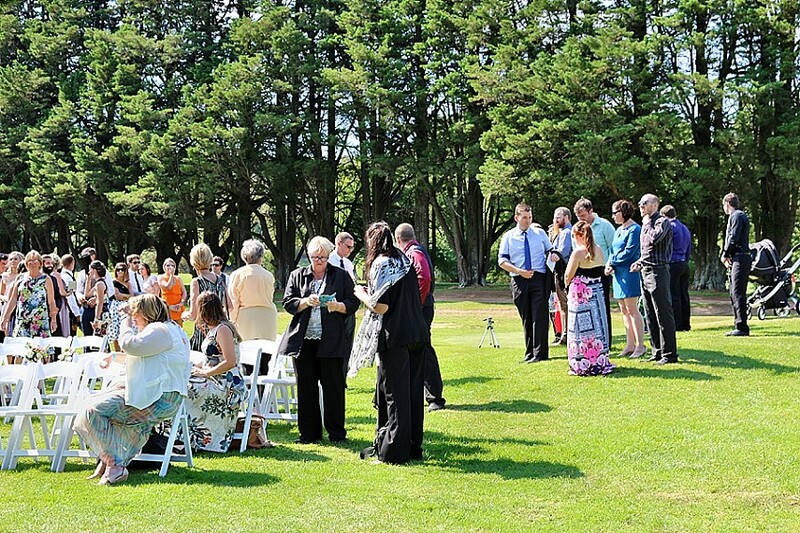 Following the ceremony, guests had an opportunity to congratulate the newlyweds before a group photograph and then Samantha, Michael and the wedding party went for photographs around the picturesque property with Dianna Watson. 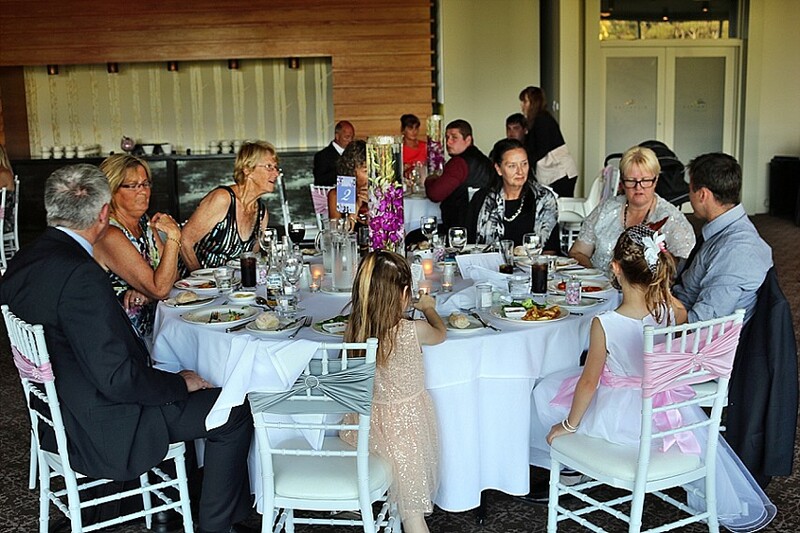 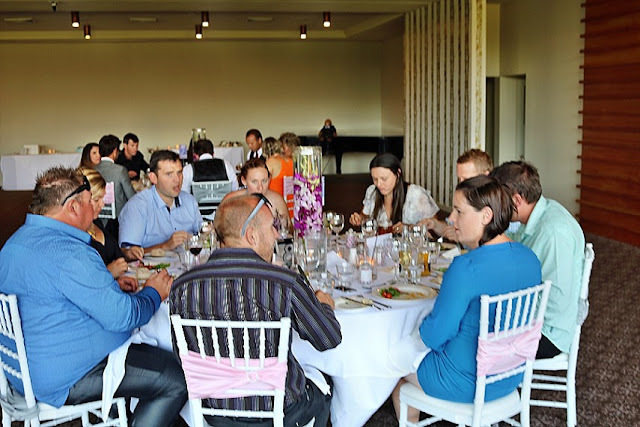 Meanwhile guests were treated to refreshments and canapé’s. 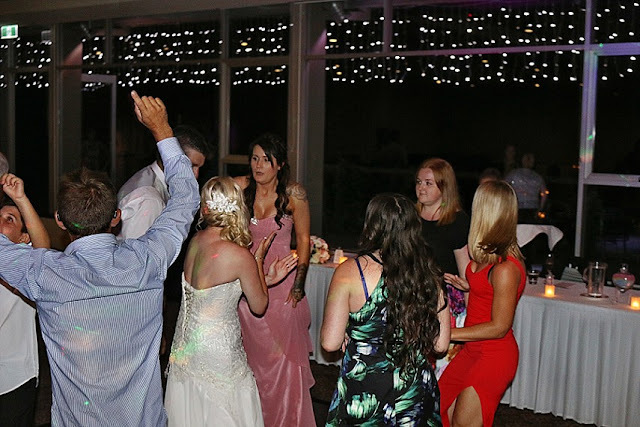 A little while later, we welcomed the wedding party into the reception room with great applause, of course the loudest and biggest welcome was for Samantha and Michael!! 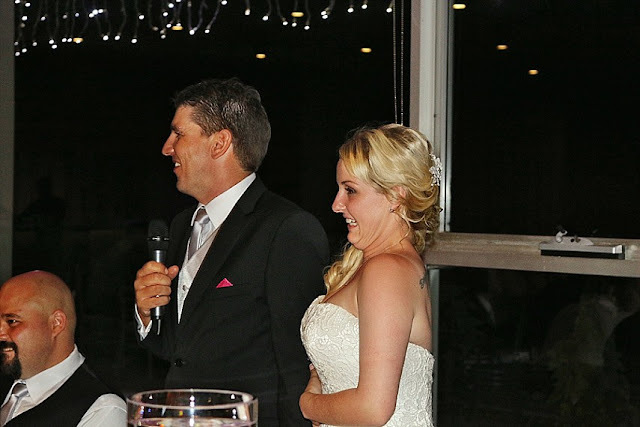 A short welcome and thank you from Michael and then guests were served a delicious entrée. 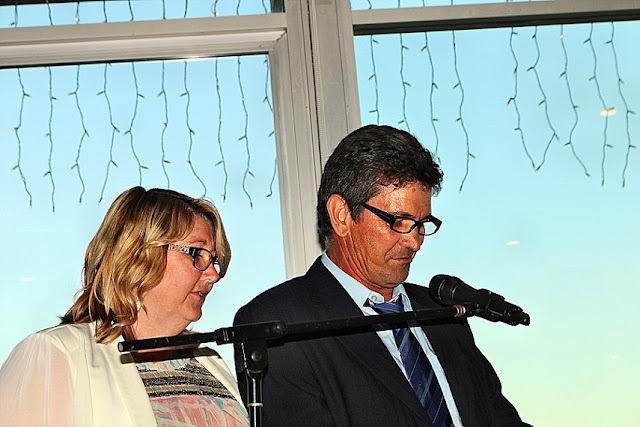 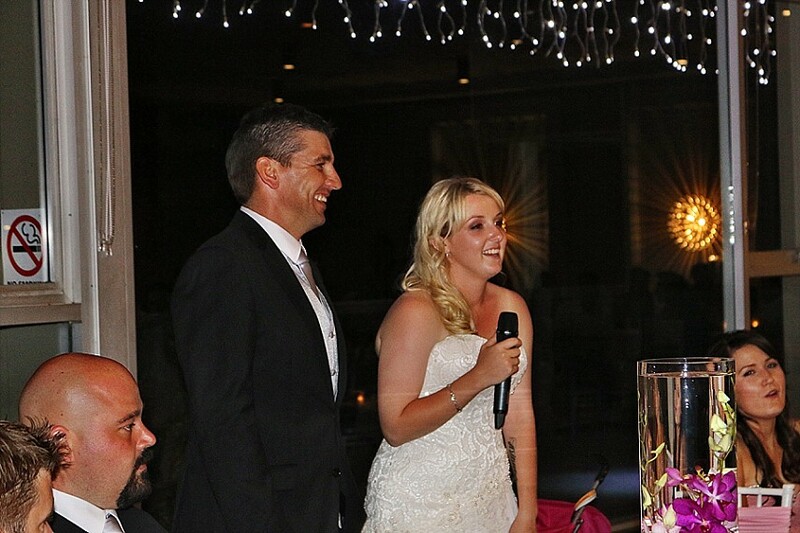 This was followed by speeches from Michael’s dad, Chris and Samantha’s dad, Gavin. 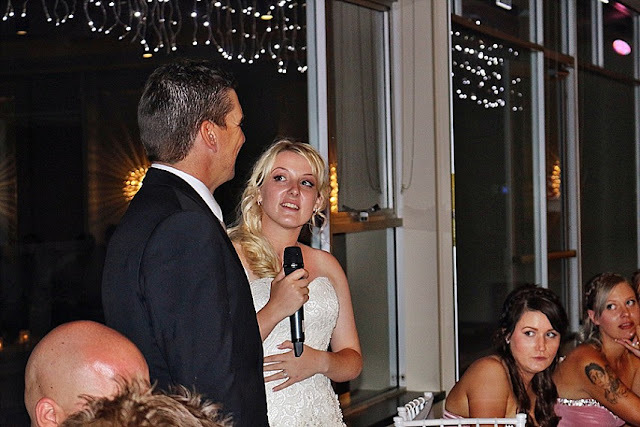 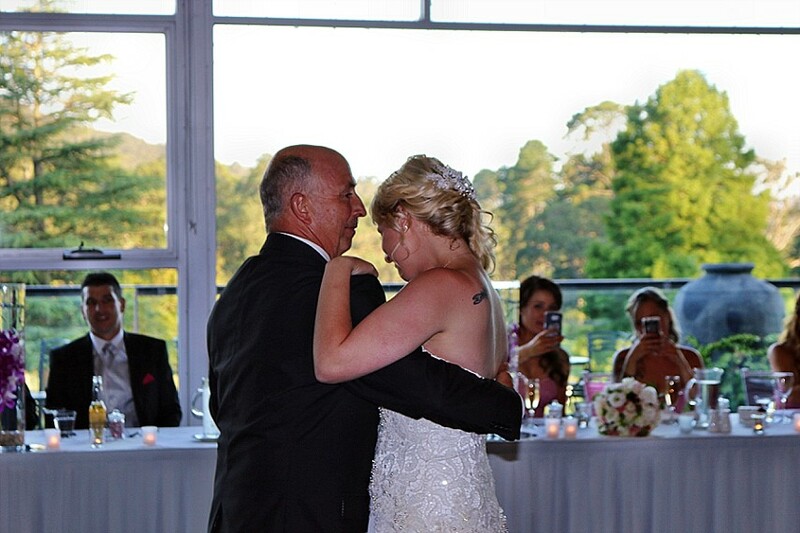 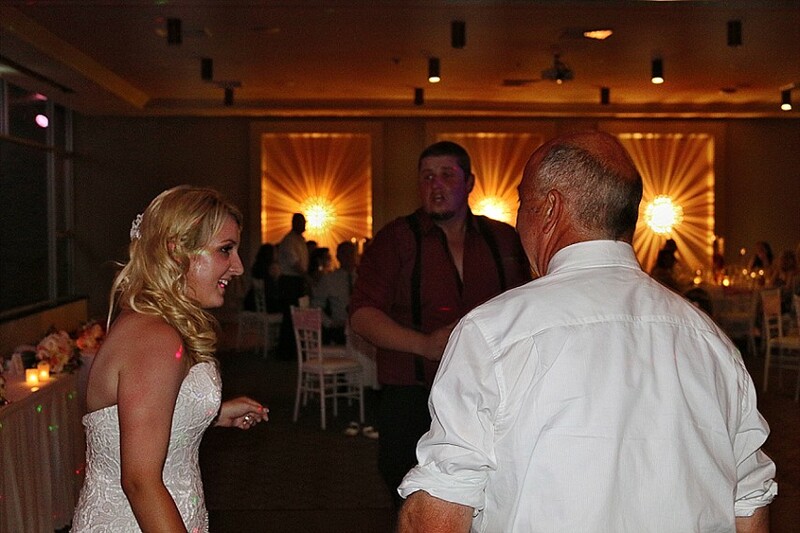 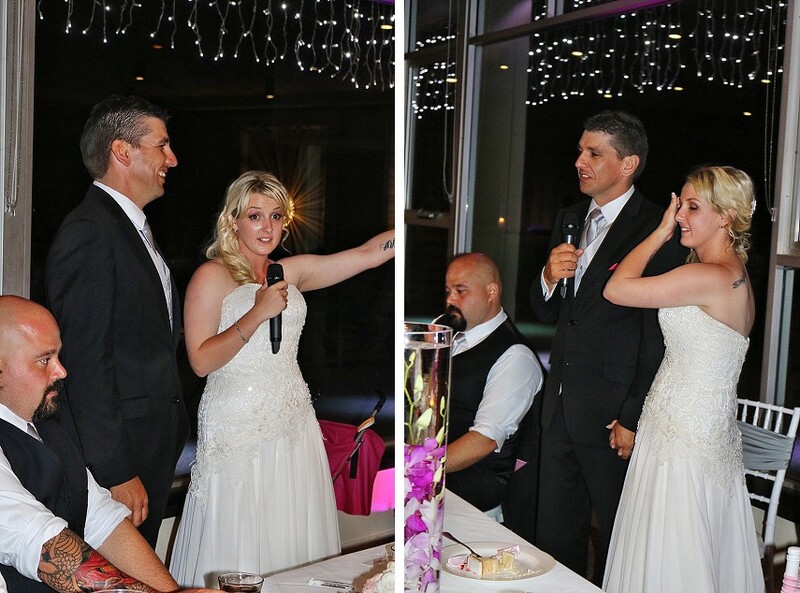 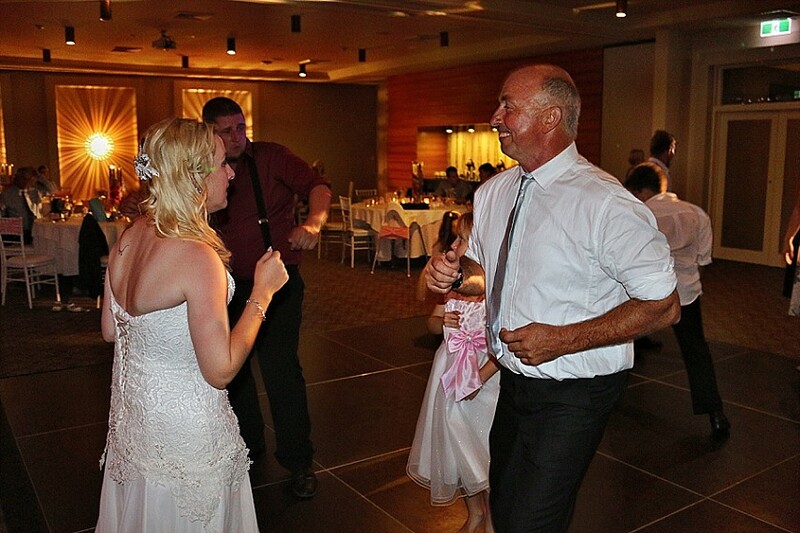 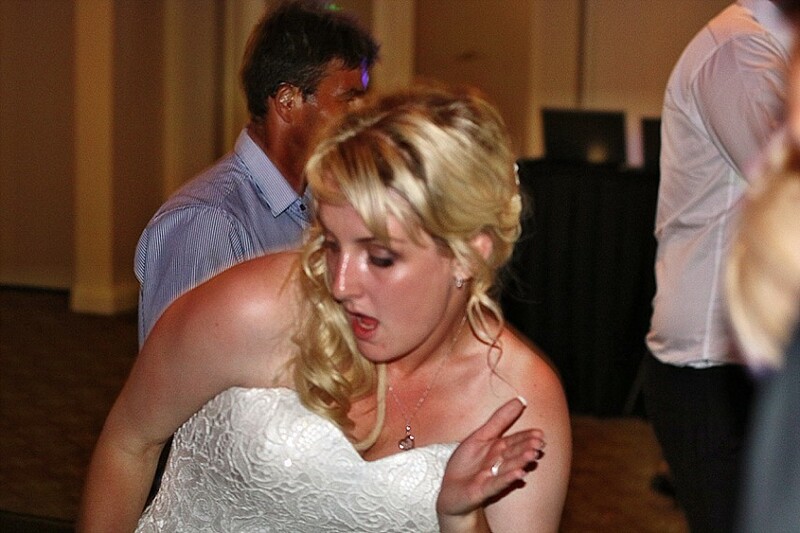 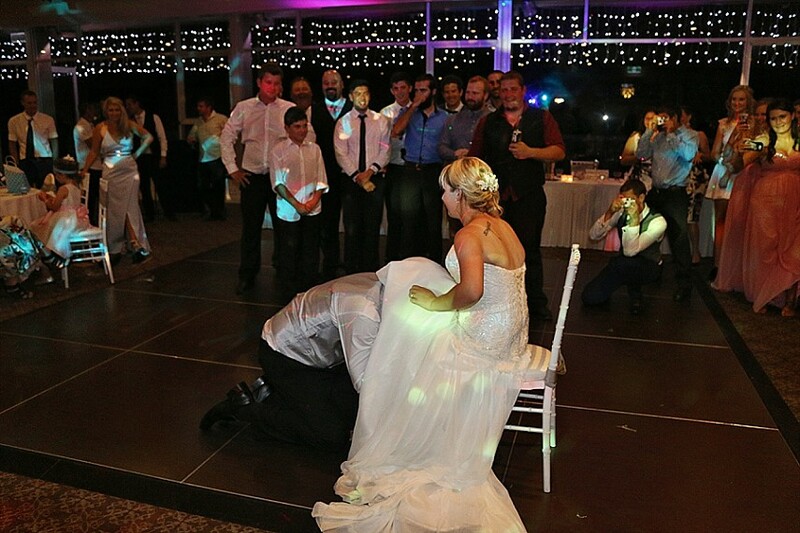 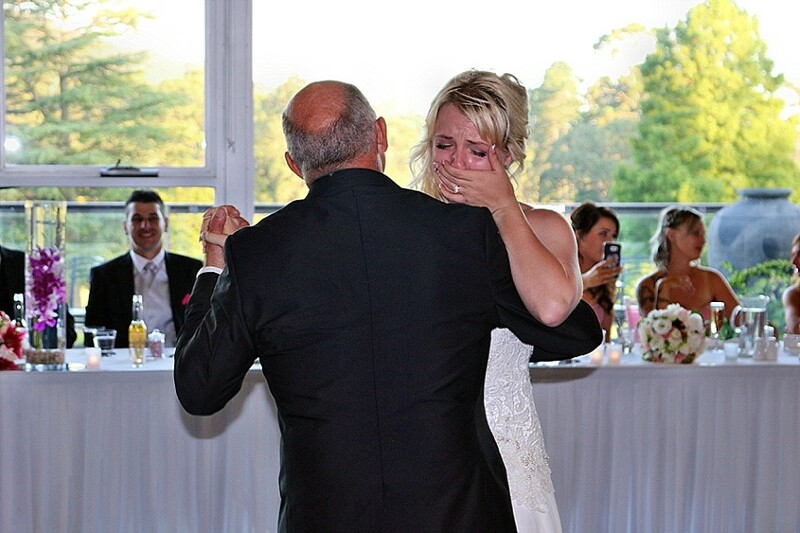 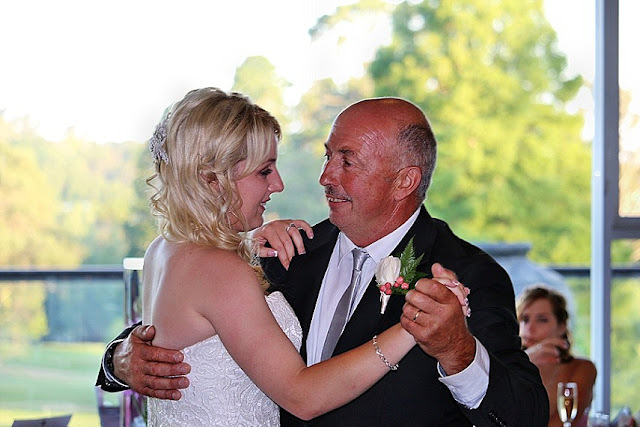 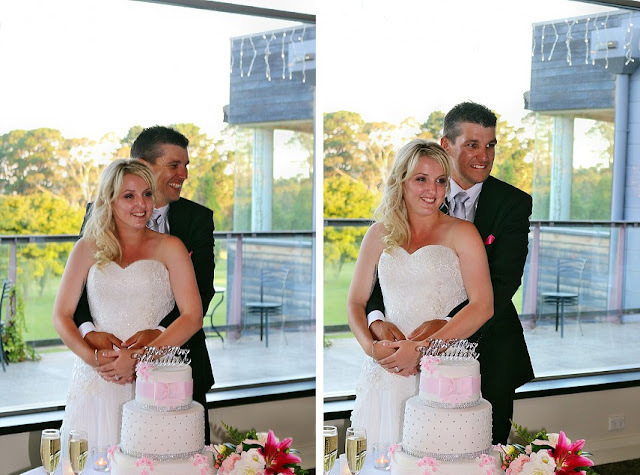 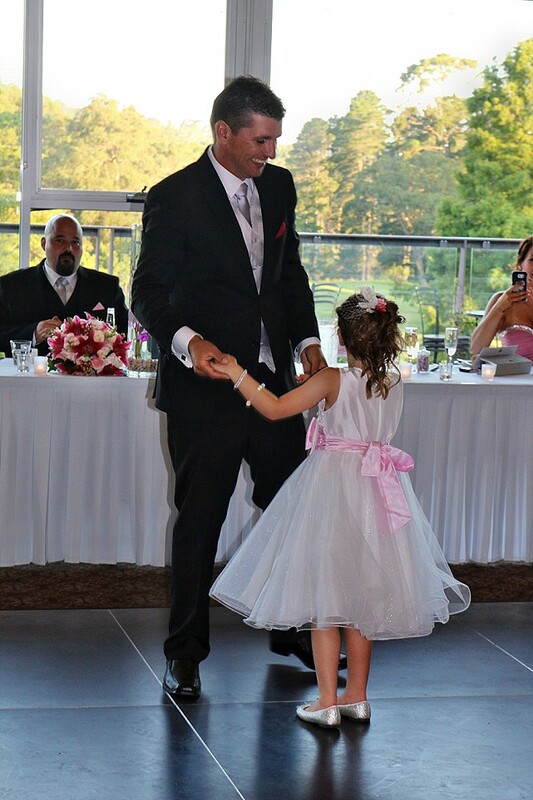 An emotional Father Daughter dance, the cake cutting and then into the main meal. Speeches from Matron of Honour, Peta-Lyn and Best Man, Sean, the newlywed game – which was a lot of fun!, dessert and finally speeches from both Samantha and Michael. 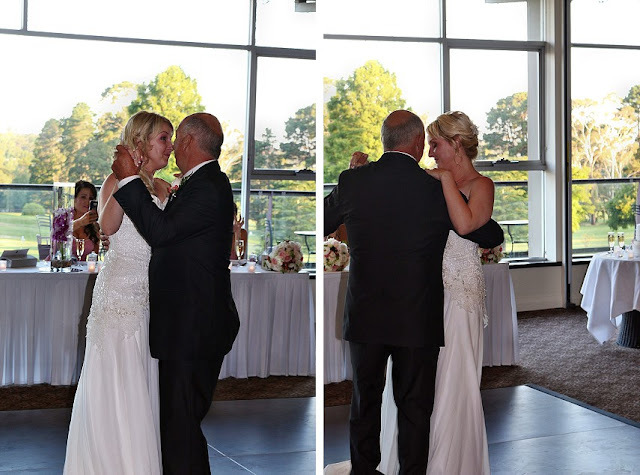 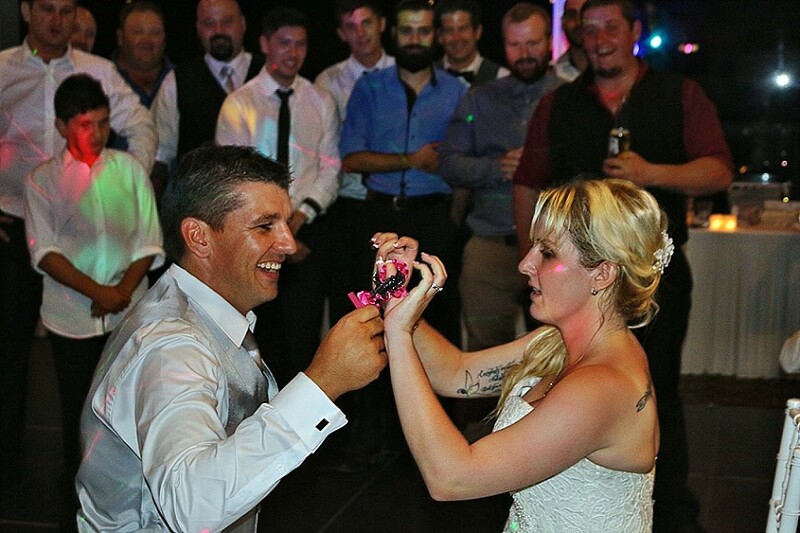 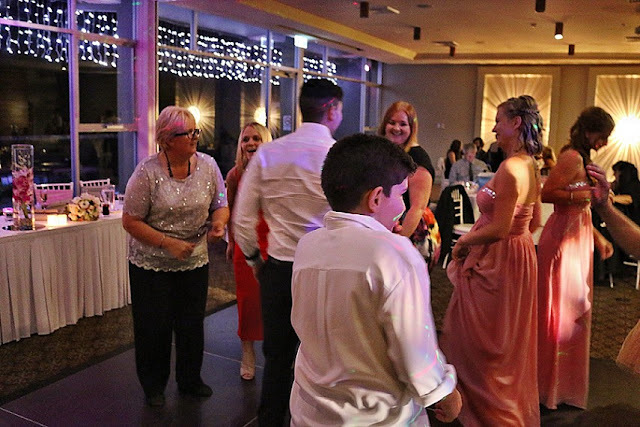 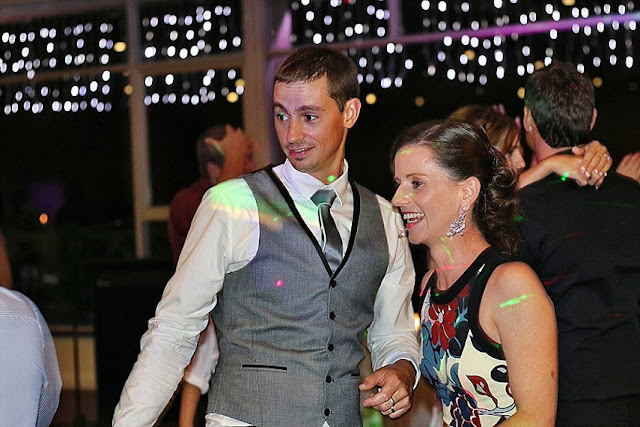 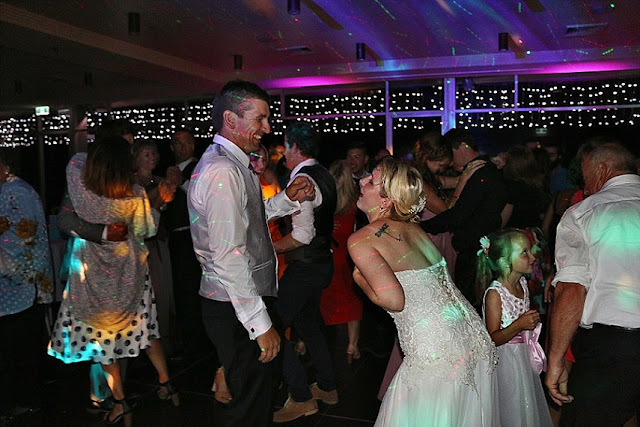 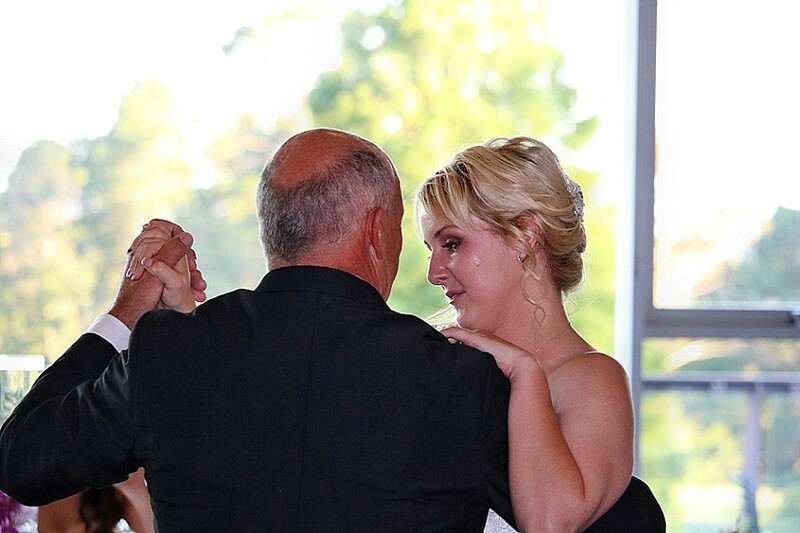 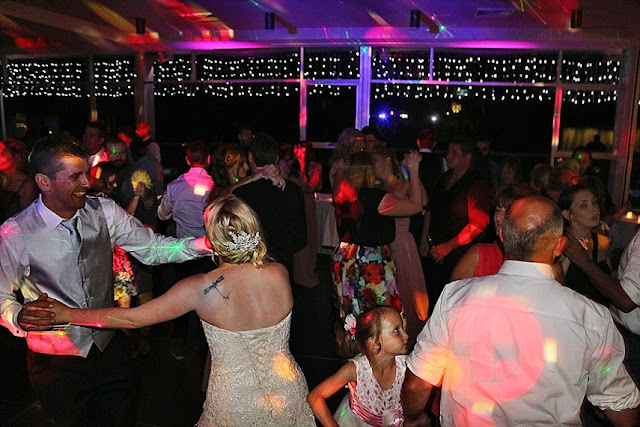 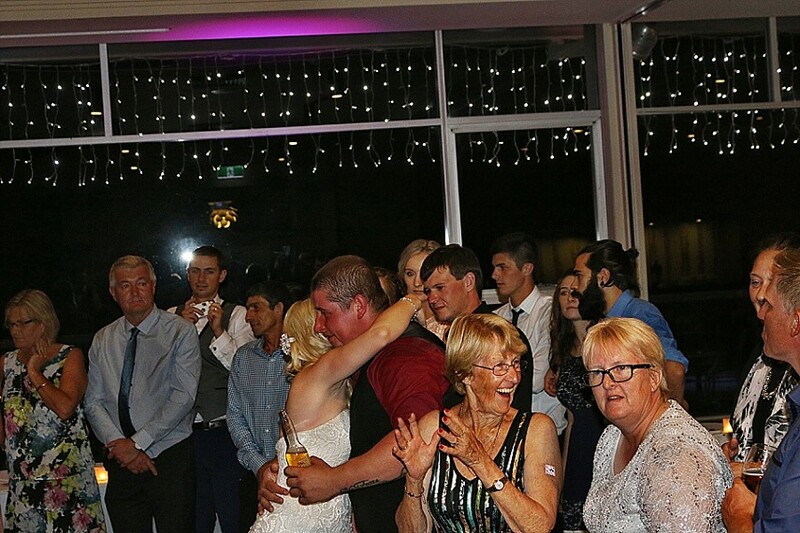 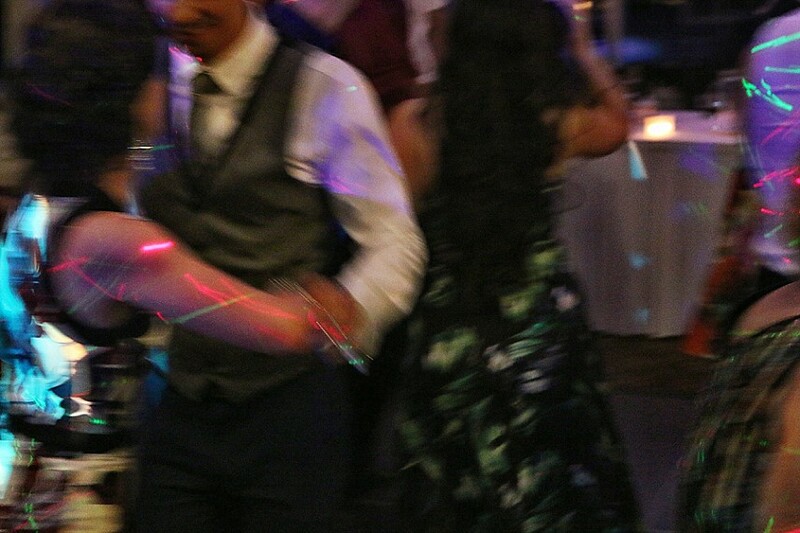 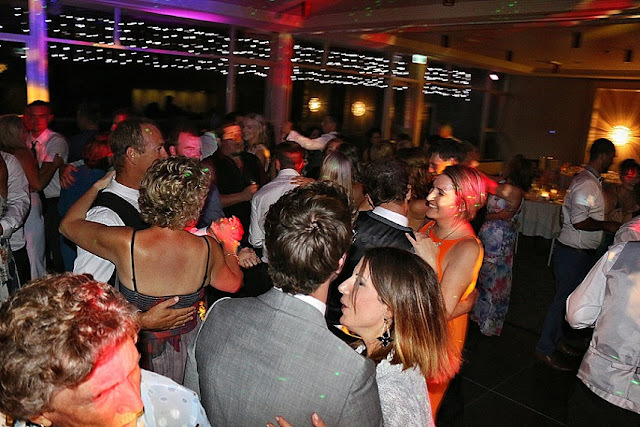 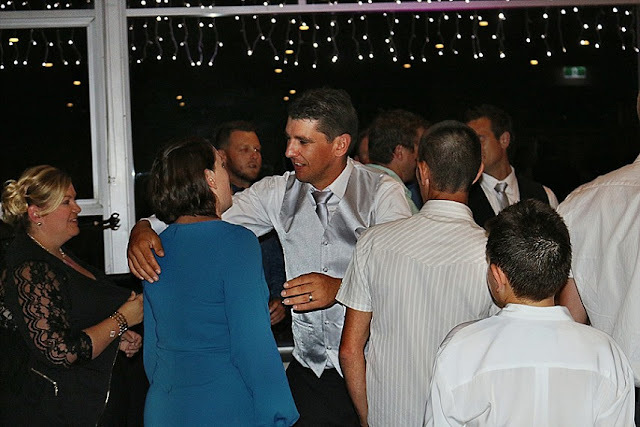 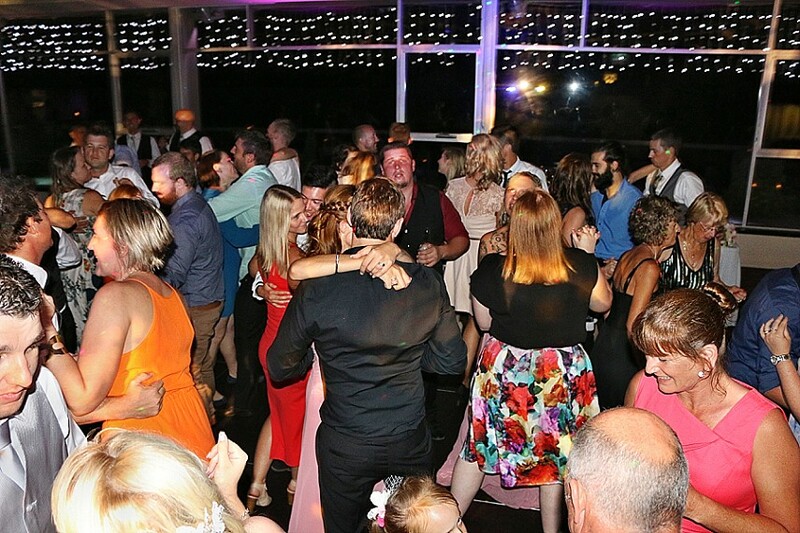 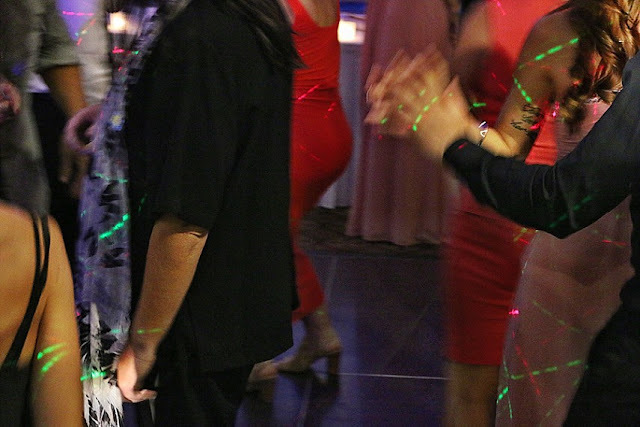 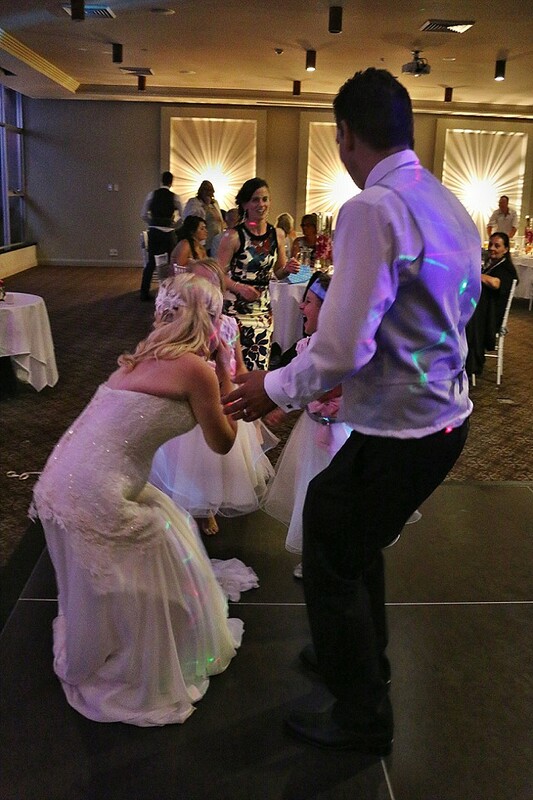 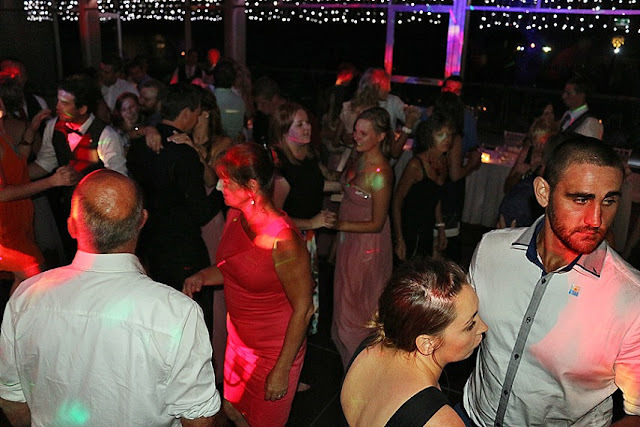 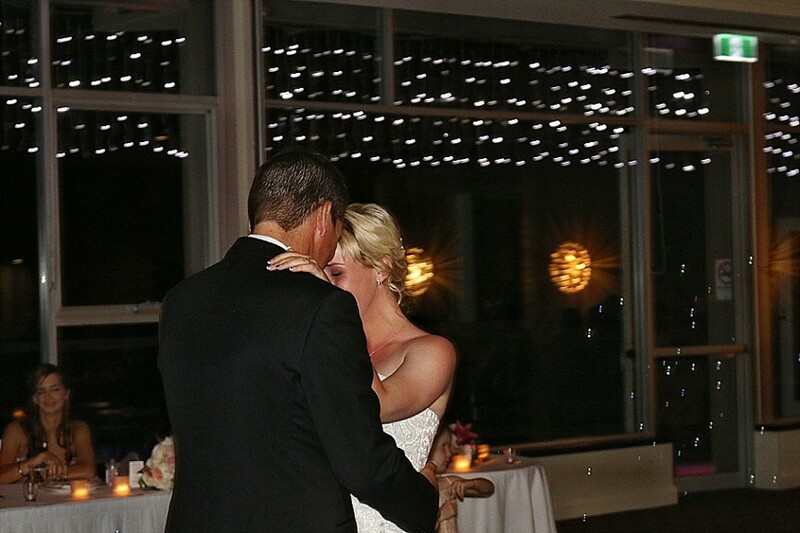 It was now time for this beautiful couple to have their first dance – this was a very special moment that encompassed all the love they have for each other and that of their family and friends with Samantha once again shedding a few tears of love and happiness. For a hopeless romantic like me, it is these little moments that make a wedding really special where the connection between a couple, which for them is like no one else is in the room, transcends to draw everybody else into the moment with them – truly made my heart very happy! 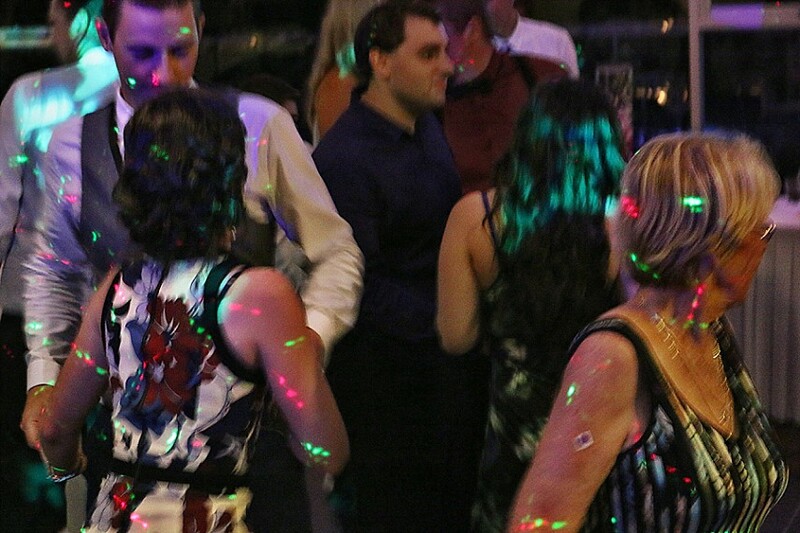 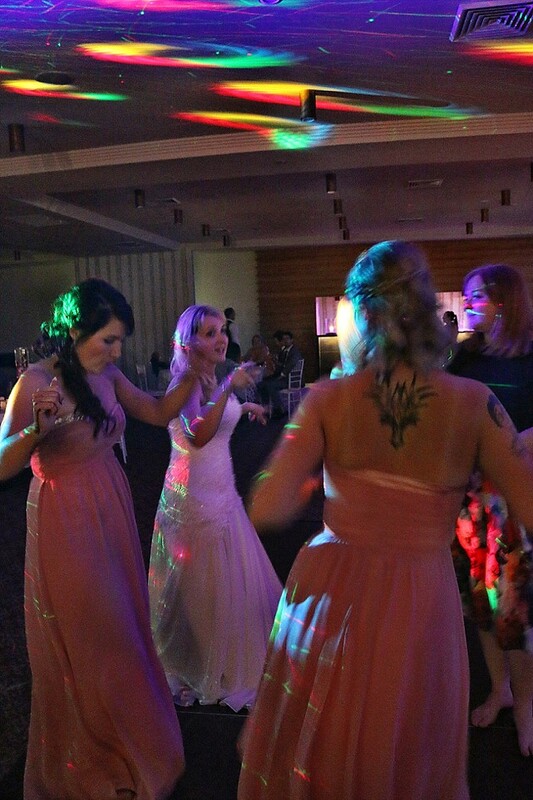 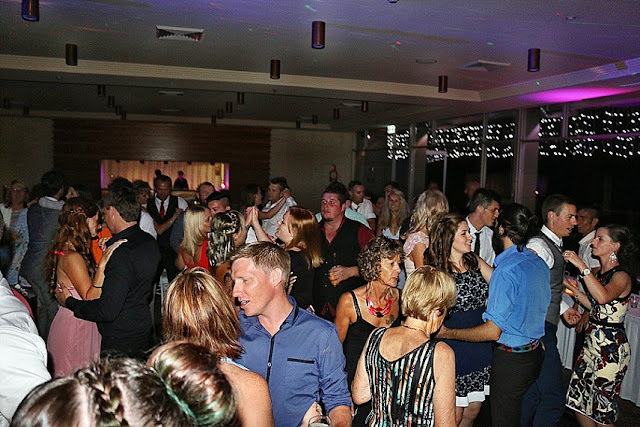 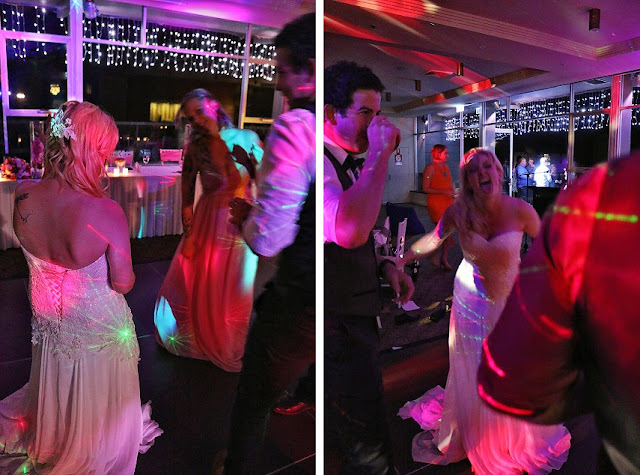 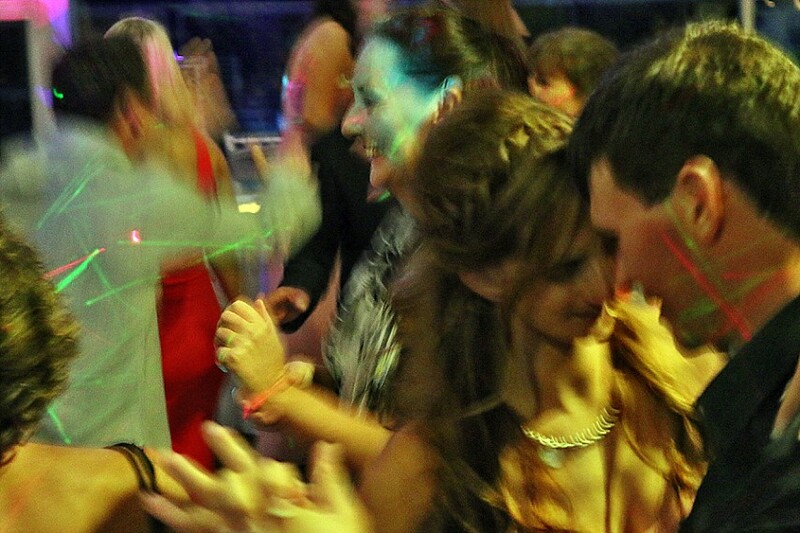 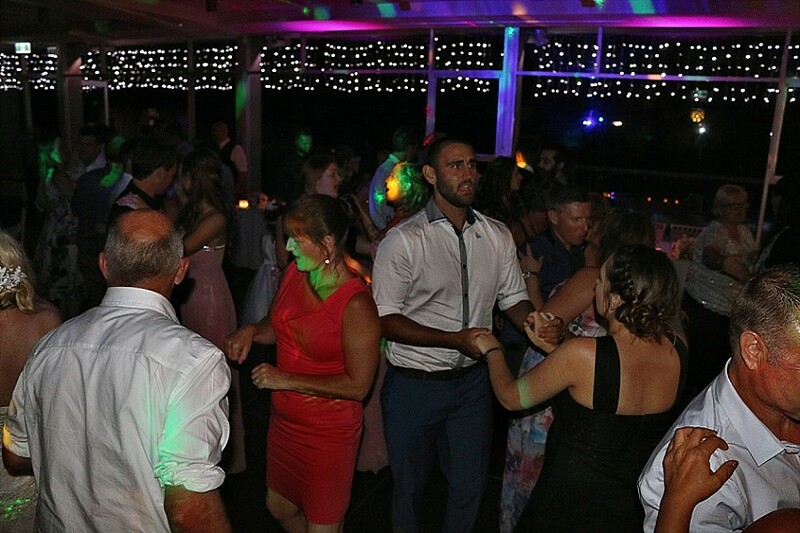 The wedding party and guests joined Sam and Michael on the dance floor. Before we knew it it was time for the bouquet and garter toss, the farewell circle and Samantha and Michael departed to start their new life as a married couple. The whole process leading up to Samantha and Michael’s wedding was such a delightful experience. 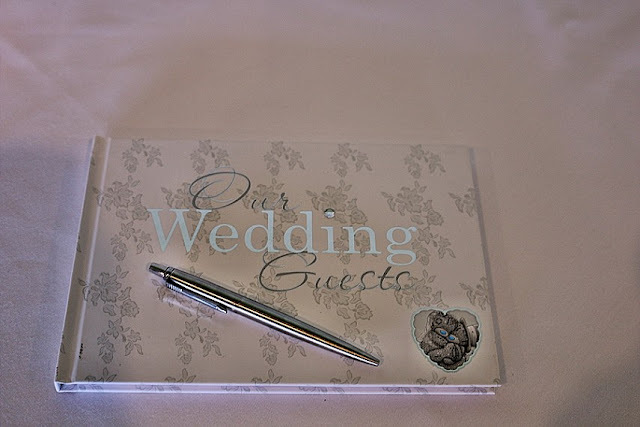 The wedding was fun, intimate, personal and so relaxed. They are an awesome couple who are so deeply in love. 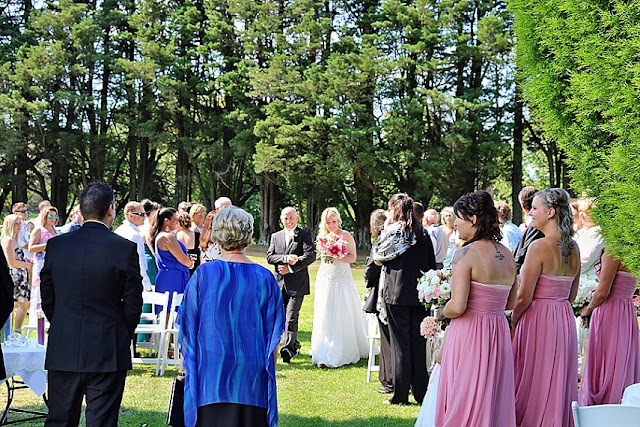 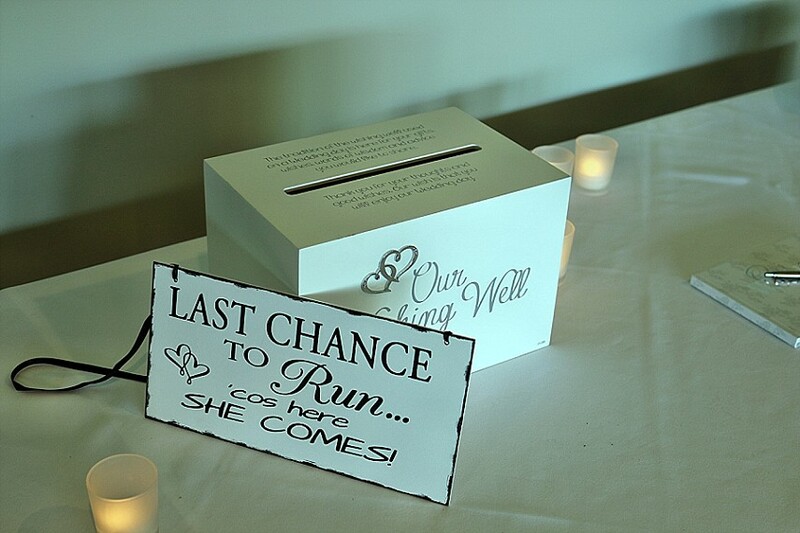 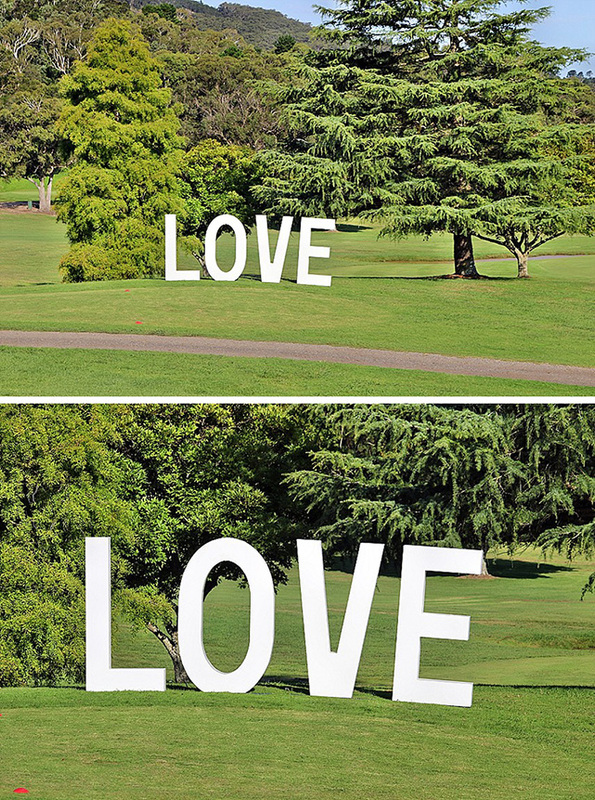 They created a wedding that was a joyous fun celebration.. and I LOVED every second of it. 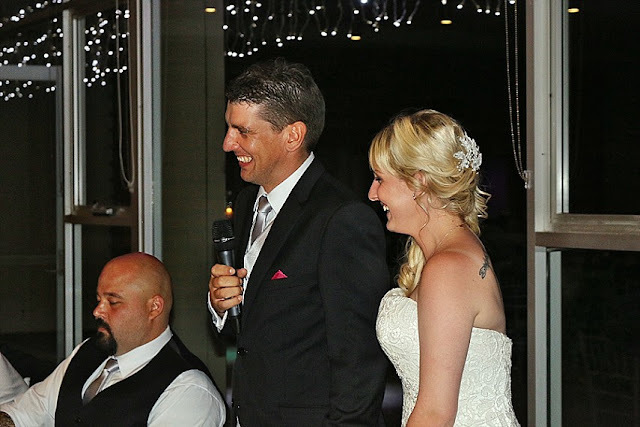 Thank you so much for the trust you placed in me and the huge privilege you gave me allowing me to be your Southern Highlands Wedding MC & DJ, I hope that you both had the best day! 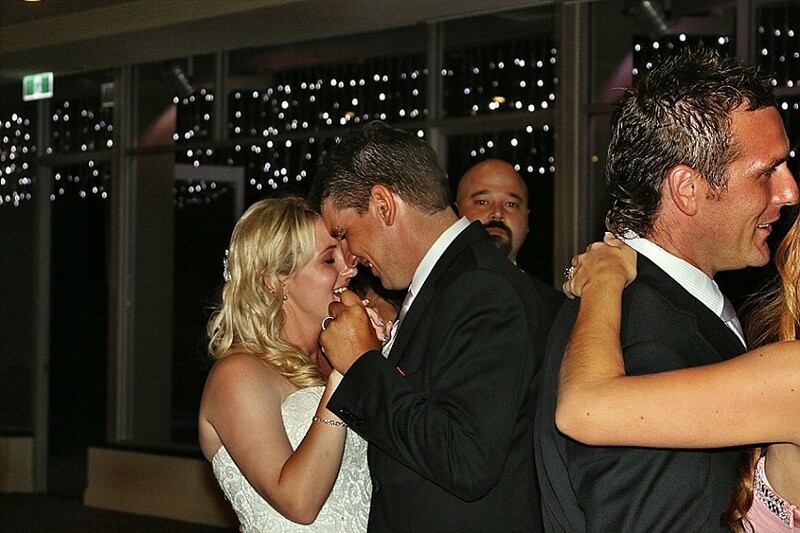 I know you will love each other forever and always, to infinity and beyond! 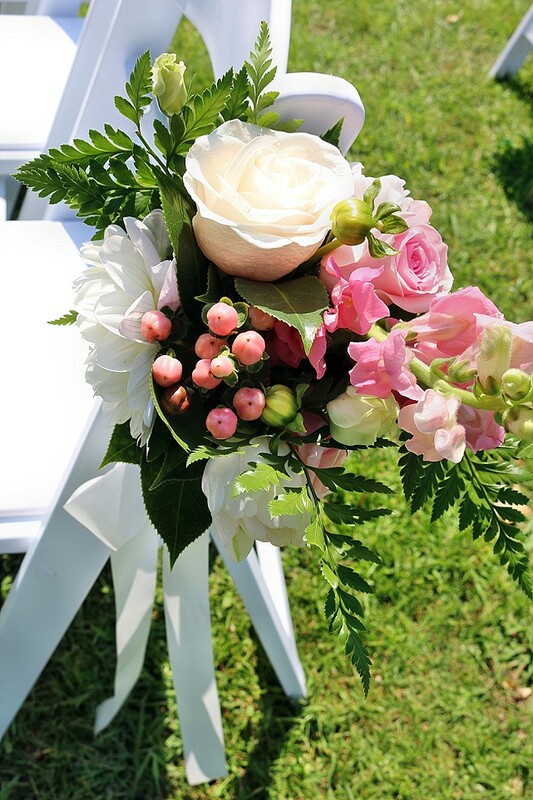 May love, laughter and music fill your lives forever!